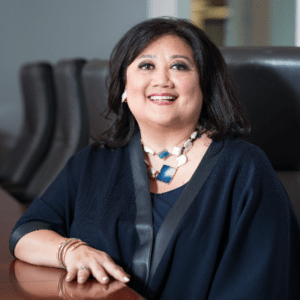 For a second consecutive year, Panish Shea & Boyle LLP attorney Deborah S. Chang will serve as co-chair for the Daily Journal “Women Leadership in Law” event to be held at The Montage Beverly Hills on Wednesday, May 2, 2018. The conference and interactive forum brings together some of the greatest law firm and in-house practitioners to participate in insightful discussions on topics important to the legal profession and of interest to women leaders. This year’s topics for discussion include #MeToo in the Legal Profession, Developing Skills Essential to Success, Women in the Courtroom, Empowering Women to Lead Our Legislature, Males from the C-Suite, Changes, Challenges and Chance: Different Paths Taken by Different Women at the Top of Their Game, and Women on the Bench. In addition to Ms. Chang, Linda Kornfeld of Blank Rome LLP and Cheryl D. Orr of Drinker Biddle & Reath LLP will also serve as co-chair for the event. Dawn Haghighi, General Counsel, Privacy and Compliance Officer for PVC Murcor Real Estate Services will return a second year to serve as in-house advisor. Ms. Chang and PSB attorney Jessie A. Kohler will also serve as moderators on various panels throughout the day. Headlining the event is actress and best-selling author Jamie Lee Curtis and Former Counsel to President Barack Obama, Kathryn H. Ruemmler. Ms. Curtis will serve as Special Guest Speaker and will also be the first recipient of the Women Leadership in Law Award in recognition of her lifelong dedication of empowering women. Ms. Ruemmler will serve as Keynote, sharing her experience at the Keynote Luncheon – Women in the West Wing, discussing an array of topics including leadership, her time in the White House and the importance of giving back. To register for the Daily Journal “Women Leadership in Law” event, click here.